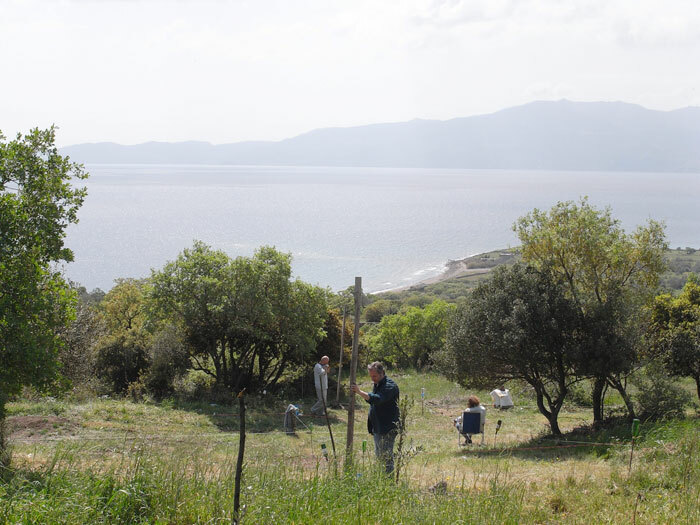 Teetering between trees on the vast hillside overlooking the shore around the history-rich city of Assos, this new holiday house we’re working on is being built to follow the topography of the landscape whilst retaining the existing trees. The building itself will consist of three different sized volumes of an archetypal house shape, arranged in a staggered way, whilst still being interconnected by a long enfilade at their intersections. External patios of differing sizes, views and character allow us to make the most of the marvellous landscape. 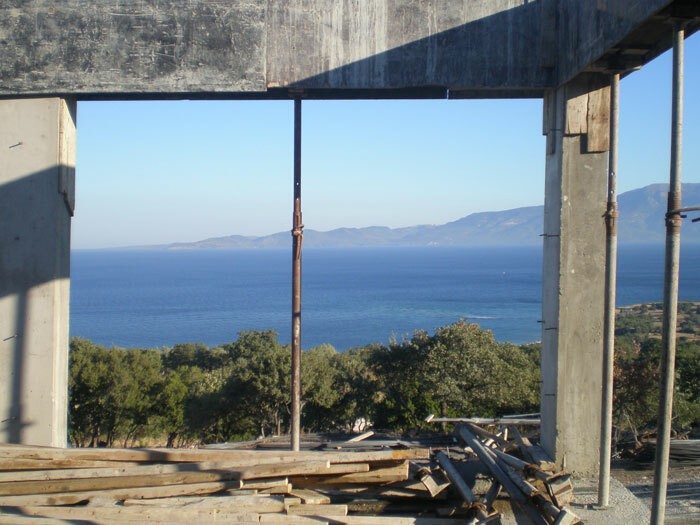 Of the three parts that make up the house, the biggest and most central building contains the combined living and dining area that opens up onto a 180º panoramic view of the sea. The remaining buildings contain the family bedrooms and bathrooms, as well as a cosy guest wing. The works will be completed end of 2011. We’ll keep posting our progress as we go right here.